The freight brokerage business continues to grow, providing ample opportunities for those who have a passion for or an understanding of the freight industry. However, working as a freight broker through your own business can be an overwhelming task. There are several requirements that must be met in order to ensure your freight brokerage is legitimate and set up for sustainable success into the future. This in-depth guide provides all the information you need to know about how to become a freight broker, establishing and maintaining your freight broker business, licensing requirements, business requirements, and strategies for success for the long haul. If you’re ready to learn how to get licensed, you can read our in-depth freight broker license guide. The first step in becoming a freight broker is understanding what a freight broker is and why you might consider going down this career path. How Much Money Can You Make as a Freight Broker? How Do You Start a Freight Brokerage Business? A freight broker is an individual who helps shippers connect with qualified carriers when they have freight that is ready to be moved. The deals between shippers and carriers are coordinated by the freight broker. Status updates on the shipper’s load is also communicated back to the necessary parties with the freight broker’s help. Because of this level of coordination between shippers and carriers, freight brokers play an important role in the transportation industry. Freight brokers can establish their own business, or they can work for a freight broker company. Those who decide to run their own business must take extra steps to ensure they are operating in line with state and federal rules and regulations. Now is an opportune time to become a freight broker because there are several positive driving forces behind the industry’s growth. First, recent reports highlight the uptick in the broader economy, with growth of GDP slightly more than 2.1% for 2017. With predictions of a strong economic environment in the years to come, based in part on the continual transition toward online transactions, shipping is slated to grow as an industry as well. Freight brokers work as intermediaries between shippers and carriers, and so, the need for qualified, licensed brokers is crucial to ongoing success. This is leading to an anticipated global growth rate of 4.28% for the freight broker market between 2018 and 2022, making now a great time to become a freight broker. In addition to a strong economic environment and pressing need for freight brokers in the shipping industry, new technologies are driving growth as well. Freight brokers are utilizing software and systems that make it far easier to connect with shippers and carriers. This takes some of the grunt work out of the process while setting up newer freight brokers for ongoing success. Also, lower barriers to entry into the industry, including reduced costs for many of the tools needed to get started, make it a good time to get started in the business. Your freight broker license: this is a one-time fee charged by the FMCSA of $300 for your license to work as a freight broker. State registration fees: you will pay a state registration fee for your new business, but this varies in each state. 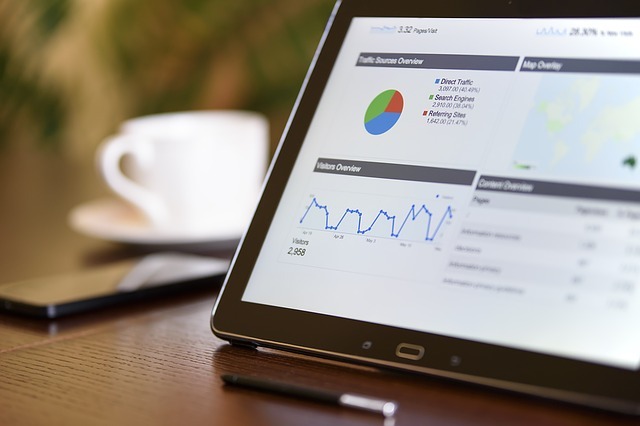 Business equipment: freight brokers do not need much to get started, but you can anticipate purchasing a computer, a mobile phone, and a strong internet connection. You may ultimately want a physical location to work out of each day, but this isn’t always necessary at the beginning of your freight brokerage business. Freight broker surety bond: as a licensed freight broker, you are required to hold a surety bond that protects the customers you work with each day. The cost is dependent on your credit score and financial history, but typically a surety bond for a freight broker runs between $750 – $9,000 per year. Software and technology solutions: you may also want to purchase freight brokerage software to help connect carriers and shippers in your business. These costs can vary, but range from $600 to $1,200 for most options. Insurance: different from a surety bond is business insurance, which helps cover liability issues as you operate your brokerage over time. Insurance can range widely in cost, up to $3,000 per year, but it is often a crucial part of the business. 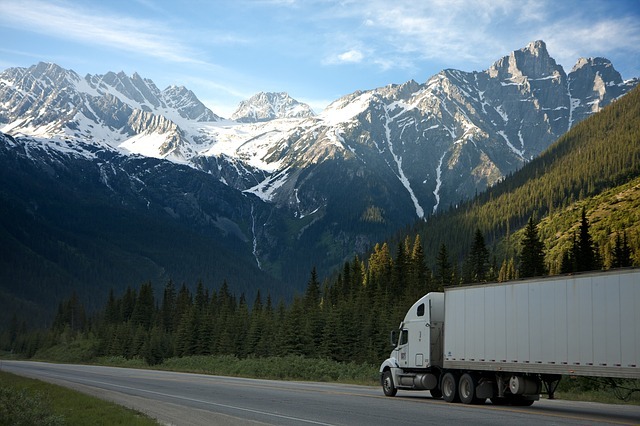 Marketing expenses: freight brokers often have a strong foothold in the industry before branching out on their own, but if business connections are lacking, marketing is essential. These costs can range significantly depending on how you market to potential customers, but expect to build in an amount to cover this necessary expense. Unexpected costs: as with any other business, there will also be unexpected expenses that arise throughout your freight broker career. While the amount is up to your discretion, it is wise to set aside some extra cash in the event of a financial emergency. According to PayScale, freight brokers can make an annual income ranging from $29,000 up to $72,000. This depends on the broker’s level of experience in the industry, the location of the broker’s business, and commissions charged for work performed. However, there are some freight brokers that make substantially more than this each year, between $100,000 and $200,000. The higher levels of income for freight brokers are mostly available to those who hire additional freight agents to work under them, or those who have built up a significant reputation in the industry. Brokers may also use marketing or load boards as tools to bring in more business. To see how these may benefit your freight brokerage, check out our guide on load boards here. Read the Load Board Guide! The top freight brokerage businesses in the United States rake in millions to billions in revenue each year. There are expenses to account for which eat into the profit margin, but the income opportunities for freight brokers in today’s economy are high. Beginning a freight brokerage business requires several strategic steps, including getting the right training, gathering industry insights, and developing a business plan. Here’s what you need to know to get started. Freight broker training is one of the essential components of becoming a successful broker in the industry. Training is not legally required, but a combination of hands-on experience and formal education can make a world of difference. Freight broker training can be acquired through other jobs in the industry, such as operating as a truck driver, a dispatcher with a trucking company, or working in a logistics firm focused on the shipping industry. In addition to attending a formal freight broker school or learning through hands-on experience, it is also beneficial to boost your knowledge through an in-depth study of the industry. The transportation, logistics, and shipping industries are constantly shifting, and staying on top of these changes helps you best serve your customers and clients. Gaining industry insights can be done through leading publications on trucking, shipping, or logistics, or by participating in online forums. It would help if you also took the time to talk about industry trends and changes with fellow freight brokers and other business contacts to keep up to date with what’s happening. If going through an apprenticeship or working for another freight business isn’t on your agenda, formal freight broker training is always a possibility. There are several schools offering online or in-person courses, focused on freight brokers. We have put together a guide of the top freight broker schools that can be found here. It can be hard to determine which school offers the right classes you need to become educated in the business, but the guide provides the direction you need. Attending freight broker school helps build the skills you need to be knowledgeable and successful in your business. Read the Broker School Guide! Although starting a freight brokerage business may sound easy, it requires a detailed plan of action if you want to be successful. A solid business plan is helpful in laying the groundwork for your freight business not just for the near-term, but for the long haul as well. Creating a business plan helps you get an idea of the costs you’ll have in starting your business while stating the goals you have for your business. It will also force you to take a look at business opportunities in the market as well as your potential customers. A strong business plan includes information about how you will earn revenue, who your shippers and carriers may be or how you will go about acquiring customers, and perceived strengths and weaknesses of your business. It will also include a detailed analysis of your current and projected financials as they relate to the business. All of this information drives your business operations in the first several years of your freight brokerage. Part of developing a business plan requires you to select a business structure that is legally recognized by the state or the federal government. 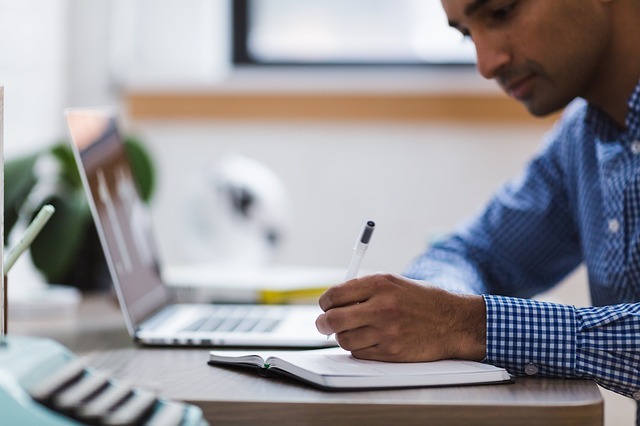 Choosing the right business framework can be a challenge if you’re new to the business world, but there are several online resources, including one from the Small Business Administration, that provide guidance on what may be best for your freight brokerage. Below you will also find a brief overview of the types of business structures you may use for your new freight broker company. A limited liability corporation, or LLC, is a popular business framework that passes on legal liability to the business, away from the business owner. Profits and losses are passed through the LLC structure to personal income without having to pay corporate taxes. However, self-employment taxes are paid by the owner. Under a partnership, two or more people come together to establish a legal business structure. You can create either a limited partnership or a limited liability partnership, both with advantages and disadvantages to the partners involved. Profits earned from the business are passed through to personal income, like an LLC, all documented in the partnership agreement. In a sole proprietorship, there is a single owner of the business but no separate business entity is created in the process. Business assets and liabilities are not disconnected from personal assets and liabilities, so the business owner is liable for all debts incurred. This is a simple business structure, but it comes with tax and legal complications that often dissuade individuals from selecting it. Both C corporations and S corporations are also options for new freight brokers. A C corp is a legal business structure separate from its owners, and it offers the strongest protection against personal liability. An S corp is similar, but it is designed to avoid the double taxation that C corps face. Profits and some losses from S corporations are passed through to the owners of the business, without being subjected to corporate taxes. After selecting the best-fit business structure for your freight brokerage, you also need to decide on a location for your business. The majority of the transportation and logistics work is done remotely, but there are benefits to having in-person meetings and business contacts. Think about who you know in the industry who can be a valuable resource for best practices or potential customers, and consider where there is economic growth or stability. Positioning your business strategically is an important part of driving success as a new freight broker. Over the last several years, the transportation industry has begun a slow embrace of technology. Modern approaches to doing business, including freight broker software, communication tools, marketing methods, and bookkeeping systems make being a new freight broker far easier. However, there is a cost associated with incorporating software into your brokerage business, so be prepared to manage this as you get started. The barriers to entry as a new freight broker are relatively low from a cost perspective, but there are still expenses you will need to calculate and plan for in advance. There are licensing fees, business structure expenses, software purchases, and other tools of the trade that come at a cost. If cash is not readily available to cover these costs, consider your options for getting a small business loan or line of credit to help. There are several online lending platforms designed for new businesses that make getting affordable financing easier as a start-up company. You may also look to alternatives to traditional borrowing, like personal assets or friends and family to cover your initial expenses as a new freight broker. In addition to positioning your business for success regarding location and cash on hand, you need to think about your market. Being in a location that has commercial retail businesses that are up and coming can be vital to a new freight broker’s success. You can find carriers and shippers in these locations through word of mouth, through some marketing strategies, or simply by being where they are, ready to form partnerships and business contacts. One of the most integral components of becoming a licensed freight broker is to meet the specific legal requirements before engaging with your first customers. This includes applying for a USDOT number, obtaining your broker authority, getting insurance and your license, and securing your bond or trust fund. Here’s what you need to know about each crucial step. Download the Free Freight Broker Licensing E-Book! All freight brokers need to obtain a USDOT (Department of Transportation) number. This can be done through a brief application online under the Unified Registration System. There is no cost for obtaining a USDOT number, but it is required as part of the licensing process through the FMCSA. Anyone who transports goods in exchange for compensation, or helps in the process as freight brokers do, is required to have a broker, or operating, authority through the Federal Motor Carrier Safety Administration. Your broker authority allows you to operate legally in the business. Once you have your USDOT number, you can apply for your broker authority online using the FMCSA’s registration system. There is a one-time fee of $300 for obtaining the broker authority. As part of the legal requirements to become a freight broker, you will also need to get either a freight broker bond (BMC-84) or establish a trust fund (BMC-85). A bond is required for all freight brokers operating in the United States, as it works to protect shippers and carriers against unlawful practices of licensed brokers. A BMC-84 Bond is required in the amount of $75,000, but freight brokers are not required to pay this entire amount. Instead, freight broker bonds are priced as a percentage of the total bond amount, typically ranging from $500 to $2,000, depending on credit history and financial information of the broker. Instead of a freight broker bond, you may opt for a BMC-85 Trust Fund. Unlike a bond where a surety company backs your $75,000 bond requirement, a trust fund means you set aside this amount specifically for this legal requirement. This can be a financial burden for new freight brokers, but it is an alternative option if a freight broker bond is not readily available. We recommend you read our guide which further details the pros and cons of both the BMC-84 and BMC-84. In addition to the requirements listed above, new freight brokers also need to ensure they are registered through the Unified Carrier Registration. This is not a program through FMCSA, but instead is an agreement among the states that helps govern and regulate fees paid by motor carriers, brokers, and other transportation professionals. You can read more about the UCR here. Finally, you will need to determine your process agents at each stage of your business. A process agent is an individual who provides legal representation within the state the broker operates. They are registered with the FMCSA via form BOC-3. Freight brokers need to have a process agent as part of the licensing and registration process. We have partnered with a company who specializes in filing the BOC-3, so let us take this off your plate. Once you have completed all the steps in the licensing process, you are now ready to begin your business legally. However, getting started is not a simple task without creating a solid marketing plan. Here are a few things to know about marketing your new freight brokerage business. There are several ways you can market a new business as a freight broker, but one of the keys to success is ongoing marketing that generates quality leads. First, list yourself in business directories online, including sites like GoogleMyBusiness, Yelp, or Yahoo! Local Listings. Each of these business directories helps in putting your business out there for potential shippers and carriers looking for a broker. You may also want to tap into the power of online marketing as a freight broker, above and beyond business directories. Targeting buyer personas online can be challenging without the right guidance and understanding of the market. Think about what niche of the market you are best fit to serve, and develop your marketing strategies and messaging around this niche. And don’t worry. You do not have to wait for carriers and shippers to find you online or in person. Using free load boards, as discussed in our load boards guide, can help you create a passive pipeline of leads for your new business. Successful marketing as a freight broker is crucial to long-term success, and utilizing the tools mentioned above will help tremendously. Also, freight brokers must have a strong list of business and industry contacts to help make their brokerage great. The combination of a continuous lead flow through lead boards and online marketing strategies, and healthy business relationships creates a perfect storm for success as a freight broker. Running a freight brokerage business profitably often requires outside help when it comes to financing. 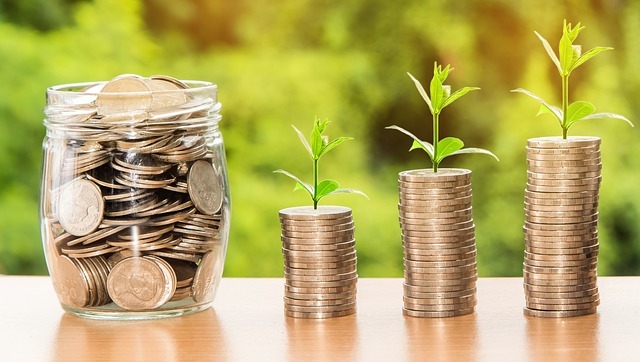 As mentioned above, there are ways you can use personal assets, like savings and investments, to help fund your business from the ground up. You can also look to friends and family members for contributions to your business, but know this requires careful navigation of relationships. If you do not want to tap into these resources, consider your options for working capital financing. Small business loans, lines of credit, and other business financing options are readily available for freight brokers who have a strong business plan, a good track record of financial responsibility, and a marketing strategy that will bring in sales in the future. When it comes to marketing strategies for a freight broker, a common misstep is ignoring the potential return on investment. Online marketing is more affordable than other methods, but it still comes at a cost. Pay close attention to how your marketing plans are generating revenue with the help of tools like Google Webmaster or social media analytics. If you see that a marketing strategy is not paying off as you anticipated, think about a course correction before it ends up costing you significantly. Finally, having a good reputation in the freight brokerage industry is key to your success for the long haul. This means delivering on promises you make to shippers and carriers, being transparent with your pricing, and having all the required legal structures, including bonds and registrations, kept up to date. These simple steps will fuel your business relationships and ultimately create a positive word-of-mouth reputation for your new freight broker business.